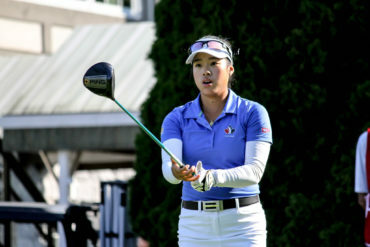 Team Canada veteran Jaclyn Lee transitions to the Young Pro Squad after five seasons as an amateur with the program. The 21-year-old recently turned professional after a stellar junior season with the Ohio State Buckeyes, highlighted by wins at the Big Ten Conference Championship, the Westbrook Invitational and the East&West Match Play. The finance major went on to cap her season with the Buckeyes with a T2 finish at regionals, followed by a school-record T5 finish at the NCAA Championship. 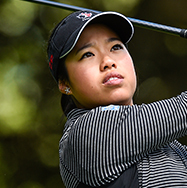 Lee led the Canadian trio to a 7th place finish at the World Amateur in Ireland. 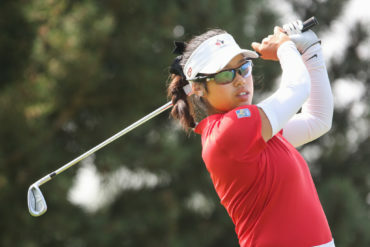 The Calgary native earned her LPGA Tour card in the fall with a top-10 finish at the inaugural LPGA Q-Series tournament. 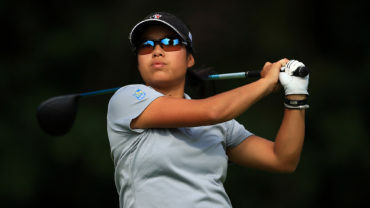 In 2016, Lee was the recipient of the Marlene Streit Award (low amateur) at the CP Women’s Open in addition to winning the Alberta Ladies Amateur title for a second time. She also won the Future Links, driven by Acura Junior Skills National Event in 2013. My dad initially got my sister and I into golf so we could play it as a family sport. Carolyn and I ended up liking it and started playing the sport competitively- my parents don’t play anymore though. Pink line and orange dots to make a circle. Most of my friends know that I’m a huge foodie… I have an adventurous palate so I’m always willing to try new foods. No hidden talents that I can think of though! Coincidentally- a picture of my food. I really like the mountains- it’s something I’ve missed while at school in Ohio. Yes, honestly too many to count or name! I’m basically a walking pharmacy on the golf course.